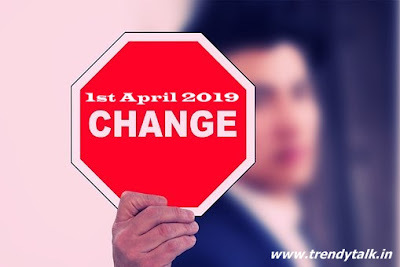 Home Trending News New Government Rules from 1st April 2019, in India from New Financial Year. New Government Rules from 1st April 2019, in India from New Financial Year. With effect from 1st April 2019, there are so many important rules relating to Banking sector, Mutual Funds, EPF, PAN cards and few more things are getting changed with onset of new financial year. SEBI Rules: Some of SEBI rules in relation to Mutual Funds are set to change . As per new rule the, the Total Expense Ratio (TER) would be 2.25. This fee will be collected from investors. It is 1.25 percent for close-ended schemes. TER will be 1 percent for any schemes other than equity schemes. BANKING: Now all banks have to link loan rates to an external benchmark. This will become mandatory as per RBI directions. Due to this action there are chances of cheaper loans. Change in Tax Rebate, there will be increase in the tax rebate from 2,500 to Rs.12,500. 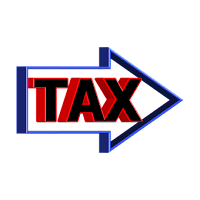 This will be applicable to individuals having net taxable income up to Rs. 5 lakhs. 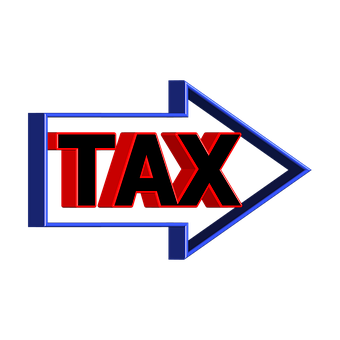 Increase in TDS Limit- This is for interest earned from banks and post office deposits, the deduction of tax at source has been increased from Rs.10,000 to Rs.40,000. SHARES : From 1st April 2019, All shares hold in digital format ( in DMAT Account) are considered to be valid. If you have any share certificates in physical form (hard copy certificates), then please get it converted to digital form to your DMAT account. There will be no transfer of physical shares from 1st April 2019. PAN CARD: 31st March 2019 is the deadline for linking your Aadhaar card number to your PAN card. If you fail to do that, your PAN card may become invalid. ELECTRICITY BILLS : Electricity bills will become prepaid. You recharge your electric meter number for the amount as per your wish. For this purpose they are going to install new pre-paid meters at homes. GST of 1% applicable on low-cost houses. GST of 5% applicable for houses of higher category. At present GST of these categories are at 8 % and 12%. PROVIDENT FUND : From 1st April 2019, employees no need to submit a separate application for transfer of Provident Fund (PF) account while changing jobs. There will be new automated system of EPFO for EPF transfer of funds, this system will be activated shortly. MOTOR CYCLES : For riders safety measures, All motor cycles above 125 cc capacity must have an Anti-lock Braking System (ABS). This feature generally found in cars of high end versions. And for bikes upto 125 cc, a combi braking system will be mandatory. TRAIN TICKETS : Good news is that, if you miss boarding a train, then the cost of your ticket’s will be refunded. Now it became easy to link two PNR numbers provided the passenger information on To and From tickets should be the same. Please check for more details and get updated yourself.